"The horrendous acts of mobocracy cannot be permitted to inundate the law of the land. Earnest action and concrete steps have to be taken to protect the citizens from the recurrent pattern of violence which cannot be allowed to become “the new normal”. The State cannot turn a deaf ear to the growing rumblings of its People, since its concern, to quote Woodrow Wilson, “must ring with the voices of the people.” The exigencies of the situation require us to sound a clarion call for earnest action to strengthen our inclusive and all-embracing social order which would, in turn, reaffirm the constitutional faith. We expect nothing more and nothing less". The Supreme Court observed that it is the duty of the State to ensure that the machinery of law and order functions efficiently and effectively in maintaining peace so as to preserve our quintessentially secular ethos and pluralistic social fabric in a democratic set-up governed by rule of law. "In times of chaos and anarchy, the State has to act positively and responsibly to safeguard and secure the constitutional promises to its citizens"
Chief Justice Dipak Misra in his judgment observed that the majesty of law cannot be sullied simply because an individual or a group generate the attitude that they have been empowered by the principles set out in law to take its enforcement into their own hands and gradually become law unto themselves and punish the violator on their own assumption and in the manner in which they deem fit. "They forget that the administration of law is conferred on the law enforcing agencies and no one is allowed to take law into his own hands on the fancy of his “shallow spirit of judgment”. Just as one is entitled to fight for his rights in law, the other is entitled to be treated as innocent till he is found guilty after a fair trial. No act of a citizen is to be adjudged by any kind of community under the guise of protectors of law. It is the seminal requirement of law that an accused is booked under law and is dealt with in accordance with the procedure without any obstruction so that substantive justice is done"
The Bench categorically held that no individual in his own capacity or as a part of a group, which within no time assumes the character of a mob, can take law into his/their hands and deal with a person treating him as guilty. "That is not only contrary to the paradigm of established legal principles in our legal system but also inconceivable in a civilized society that respects the fundamental tenets of the rule of law. And, needless to say, such ideas and conceptions not only create a dent in the majesty of law but are also absolutely obnoxious". The apex Court held that there can be no shadow of doubt that the authorities which are conferred with the responsibility to maintain law and order in the States have the principal obligation to see that vigilantism, be it cow vigilantism or any other vigilantism of any perception, does not take place. "When any core group with some kind of idea take the law into their own hands, it ushers in anarchy, chaos, disorder and, eventually, there is an emergence of a violent society. Vigilantism cannot, by any stretch of imagination, be given room to take shape, for it is absolutely a perverse notion. We may note here that certain applications for intervention and written notes have been filed in this regard supporting the same on the basis that there is cattle smuggling and cruel treatment to animals. In this context, suffice it to say that it is the law enforcing agencies which have to survey, prevent and prosecute". "No one has the authority to enter into the said field and harbour the feeling that he is the law and the punisher himself. A country where the rule of law prevails does not allow any such thought. It, in fact, commands for ostracisation of such thoughts with immediacy." The Bench directed the Centre and states to take preventive, punitive and remedial measures to stop lynching incidents in future. It has issued detailed guidelines regrading the same. "The measures that are directed to be taken have to be carried out within four weeks by the Central and the State Governments. Reports of compliance be filed within the said period before the Registry of this Court". states the Order. The Court urged the Parliament to enact a separate law to punish offenders participating in lynching of persons. "we think it appropriate to recommend to the legislature, that is, the Parliament, to create a separate offence for lynching and provide adequate punishment for the same. We have said so as a special law in this field would instill a sense of fear for law amongst the people who involve themselves in such kinds of activities. There can be no trace of doubt that fear of law and veneration for the command of law constitute the foundation of a civilized society". Senior Counsel Indira Jaising, Colin Gonsalves and Sanjay Hegde had appeared for the petitioners, Senior Advocates V. Giri and Sidharth Luthra for the applicants, while the Centre was represented by ASG P. Narasimha and A. S. Nadkarni. “We can deal with this under Article 142…we have developed the concept in Shakti Vahini (honour killings)…compensation and monitoring of investigation are aspects that have to be looked into…also, what would be the point of a judgment without any preventive measure”, the CJ had opined. 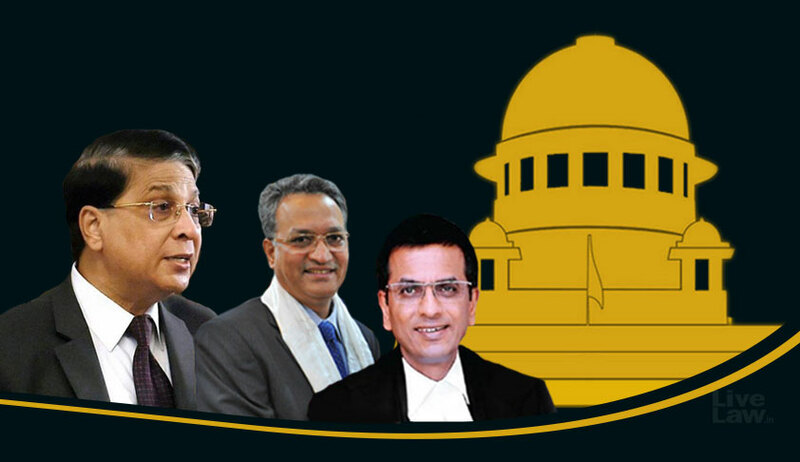 “We intend to pass the judgment on the petitions, keeping the contempt alive…these kind of instances cannot occur…it is the obligation of the states to prevent the same…hence, an elaborate judgment is needed”, CJI Misra had asserted on July 3. The bench also participated in a discussion with Ms. Jaising as to who could be a victim of vigilantism. “The protected categories in Article 15 should be covered…”, suggested Ms. Jaising. “Anyone could be a victim…Why only those covered under Article 15?”, observed the bench. “The term ‘victim’ is defined in the Cr. P. C…but we are coming for vulnerable categories…Targeted violence is different from General violence…this is not murder that happens in someone’s living room…”, she responded. On September 6, 2017, the apex court had asked all the States to take stern measures to stop violence in the name of cow protection, including appointing of senior police officers as nodal officer in every district and highway patrolling to act promptly to check cow vigilantes from behaving like they are “law unto themselves”. Subsequently, on January 29, the court had issued notices to state governments of Rajasthan, Haryana and Uttar Pradesh on a petition seeking contempt proceedings for failing to comply with the aforesaid directions.